Amen–or a decent pizza (the one I got last night was horrid). Thanks for visiting my blog. Love your chairs in the header. Once saw an Adirondack chair on the side of the road, in the Zambian bush, four hundred miles from anywhere. The next thing we saw was a Welsh Dresser standing in the elephant grass, and no sign of whoever had made it. Another of those unexpected shopping opportunities in Africa. Both must have been copied from some missionary’s or settler’s furniture. It was a pleasure – I often think those odd bits of domesticalia disappear from one location and are zotted into another! 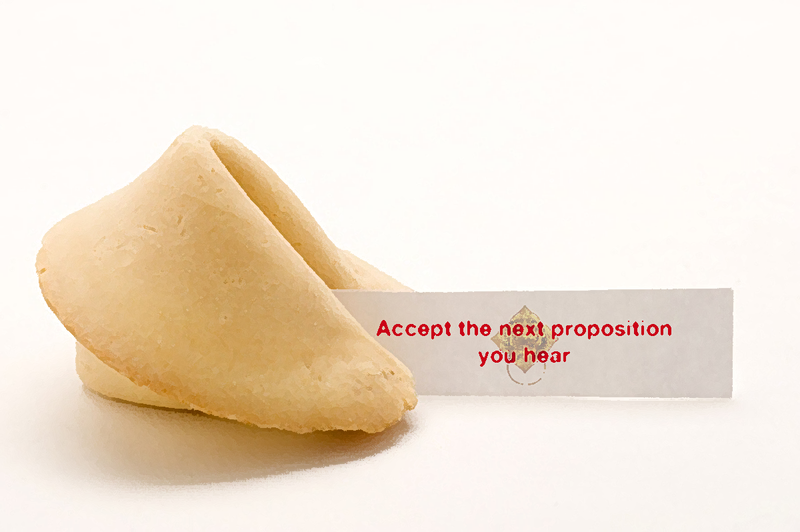 Reminds me of that movie “The Gods must be Crazy”…..
maybe there’s a fortune cookie to tell us, which way to go?